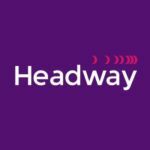 Headway is a leading growth marketing company for brands and apps worldwide, integrating proprietary and state-of-the-art partner technology. With fast innovations, machine learning algorithms, and strong multi-channel operations, Headway is a one-stop advertising provider for seamless, data-driven campaigns for mobile acquisition (Programmatic & CPI), web, video, and social. Headway’s solutions include mobile marketing platform, Mobrain®, the mobile-first DSP, Smadex, and the DMP audience marketplace, DataXpand, which align to help brands optimize and target ad campaigns with the precision of technology, and the insight of human experts., and the DMP audience marketplace, DataXpand. The company is backed by global diversified media group, Entravision Communications Corporation (NYSE: EVC), and operates as one of their business units. "We really feel we hit the jackpot when we partnered with Headway. Their high-quality users are exactly what we were looking for to amplify Bwin’s UA, and their proactive approach has made collaborating with their team not only extremely successful, but enjoyable."